Free For All and Gobble It Up Reviews received a sample to facilitate this review and giveaway all opinions are 100 percent my own no financial compensation was received. 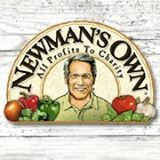 Newman's Own #HolidayGiftGuide Giveaway 2 Winner's Will Receive A Newman's Own Product Assortment! I like best the Salsa and popcorn for snacking. I like the Chocolate Chip Cookies. I love those Vanilla Newman-O's, they leave regular cookies in the shade!